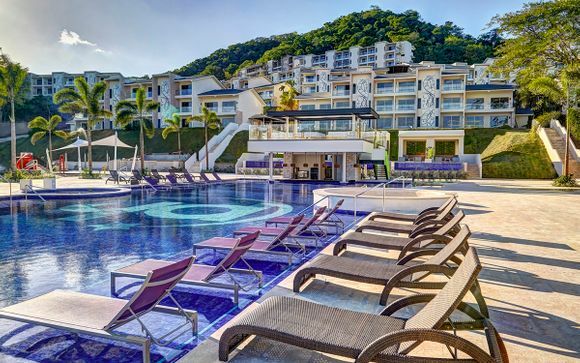 Luxury family holidays to Costa Rica up to -70% off To take advantage of these offers, join now for free! 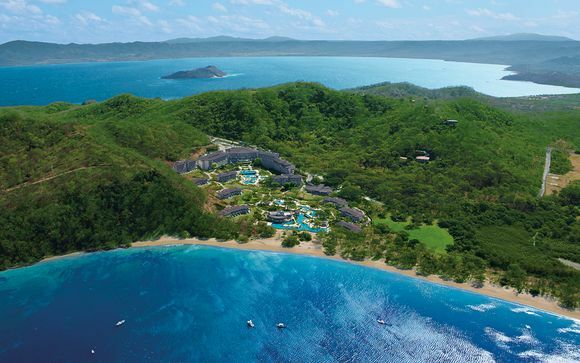 We offer our members exclusive deals with savings on family holidays to Costa Rica of up to 70%. Our committed team have searched the country for its very best hotels and holidays. Taking your family to Costa Rica is a surefire way to create lifelong memories of time well-spent together. Ideal for adventurous families or those who simply want to relax and bond in beautiful surroundings, this ecologically diverse, friendly and welcoming country is the ideal place for your family adventure to play out. Just because you’re going on an adventure doesn’t mean you have to rough it. 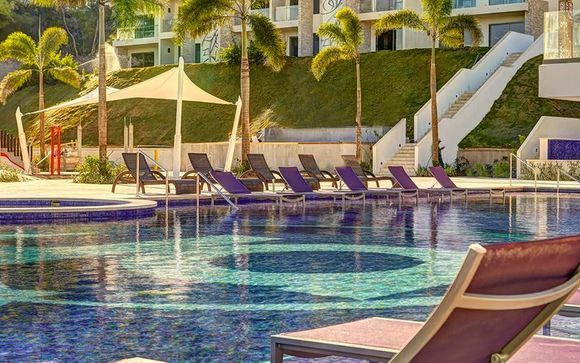 When you book with us you’ll enjoy four and five star accommodation at one of the best hotels in Costa Rica while filling your days with white-water rafting, horseback tours, mountain biking, hiking, kayaking and treetop adventures. Families who like wildlife spotting may find themselves meeting crocodiles, capuchin monkeys, toucans, sloths and tree frogs. Top cities for families include the capital San Jose, where you can find out more about the country at one of the fascinating museums. Young surfers can enjoy the Pacific waters at the Guanacaste Beaches, while adults can enjoy luxury spa treatments at their hotel. 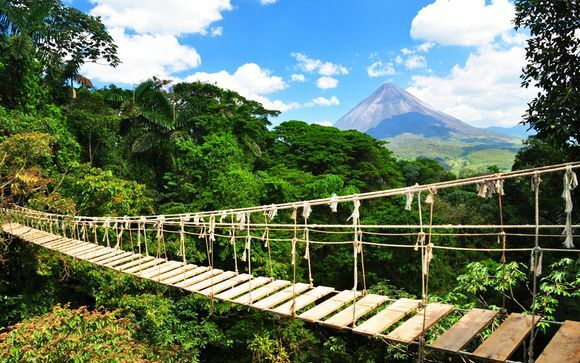 All fun for an unforgettable family holiday to Costa Rica. Our team have carefully selected the best hotels in Costa Rica for you to choose from. Those with families can choose hotels in locations where there are plenty of beach facilities, restaurants and activities. Families with a taste for adventure might consider one of our hotel deals on the Californian coast or the Southern Pacific region, while our city centre hotels are ideal for culture vultures. 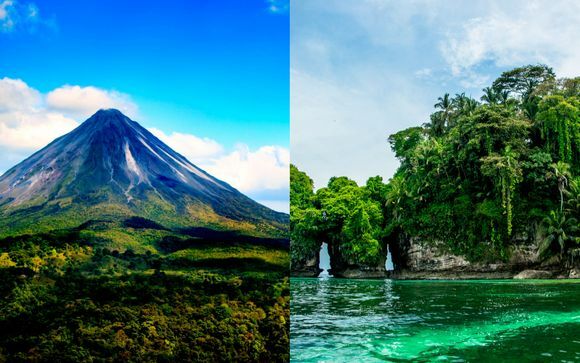 Wherever you're based in Costa Rica, you'll find plenty of day trips and tours to take you to every corner of this beautiful, diverse and unique destination. Wherever you go in Costa Rica you'll hear people say 'Pura Vida', meaning Pure Life, and there's nowhere better to enjoy the best that life has to offer with your loved ones than in this small but perfectly formed country. Sign up now to get exclusive member only deals for luxury family holidays to Costa Rica and begin your Central American adventure today.